Transform yourself with this stunning Kids WW2 Land Girl Costume experience the life of a Land Girl. This Kids WW2 Land Girl Costume comes complete including a Jumpsuit, Headpiece, and Mock Ration Book. This dungaree style Jumpsuit features a printed pocket detail, and an attached blue floral top with puff sleeve. Combined with the red and white Headpiece, and the Mock Ration Book, this Kids WW2 Lang Girl Costume will be sure to get you noticed. Perfect for a Historical theme, a School event, or any fancy dress occasion, this Kids WW2 Land Girl Costume will be sure to impress no matter what the occasion! 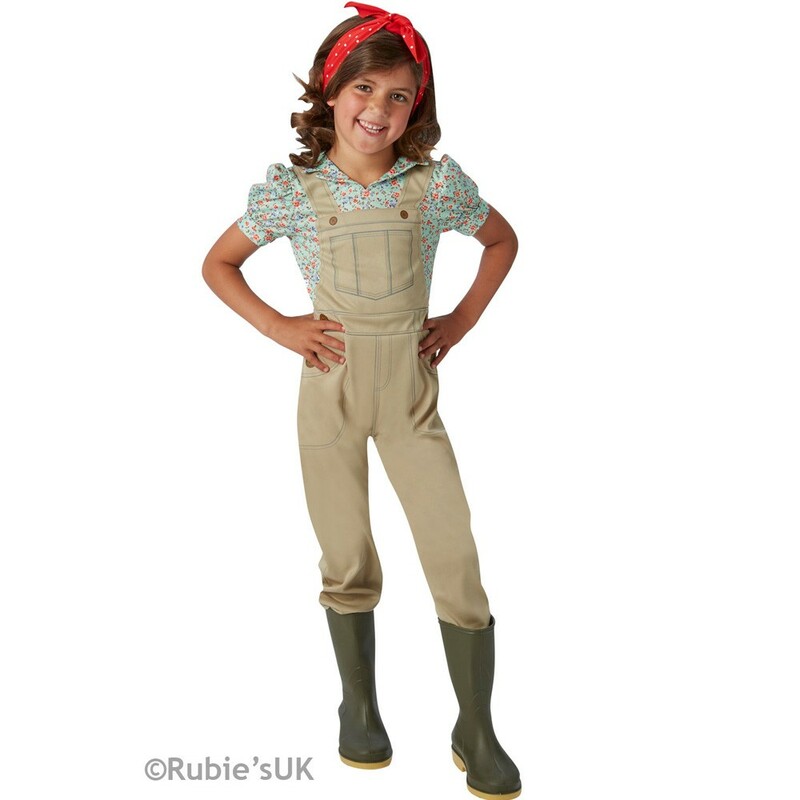 So get back to the hard work with this brilliant Kids WW2 Land Girl Costume. 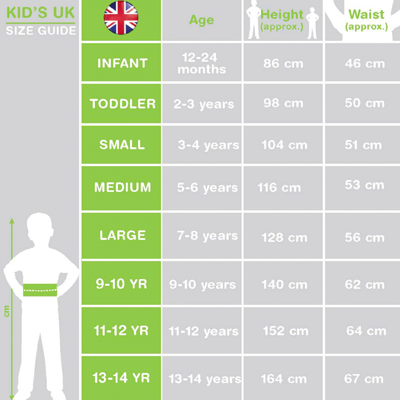 Available in sizes Medium, Large, and Extra Large (9-10 years). A Kids WW2 Land Girl Costume including a Jumpsuit, Headpiece, and Mock Ration Book.